Brig Gen (res.) Michael Herzog has been a participant in nearly all Israeli-Palestinian negotiations since 1993. In his important essay, published in Fathom Journal , he argues that Israeli unilateral actions could later have a two-state solution as outcome. According Herzog the bilateral Israeli-Palestinian arena looks as bleak, the last effort for negotiated peace – the Kerry-led negotiations in 2013-2014 – collapsed, adding despair on both sides to the prospects of a two-state solution. The Palestinian Authority (PA) is weak and divided between two political entities, one in the West Bank ruled by Fatah and one in Gaza ruled by Hamas, with the current situation in Gaza resembling a powder keg. On the Israeli side, there is a right-wing coalition, reflecting the reality of Israeli society increasingly turning to the right under the pressure of repeatedly failed peace efforts and Palestinian terror waves. Meanwhile the American role in our region has weakened and the upcoming American elections paralyse potential international initiatives. Israel and some of the major Arab states have been drawn closer together by strong converging interests, namely the threats of extreme violent Islamist jihadism, an empowered Iranian-led axis, regional instability as a whole and the weakening US role; however, according Herzog, this should be regarded as an opportunity. After 20 years of failed peace efforts, the first thing to realise is that the Israeli-Palestinian conflict is extremely complex. Simplistic black-and-white characterisations, such as blaming the failure entirely on one party or suggesting that it could be easily resolved if only the leadership were changed, are unhelpful in trying to reach a solution. While Palestinians point to continued Israeli settlement activity in the West Bank and to Israel’s security heavy-handedness, Israelis point to repeated Palestinian rejection of Israeli peace offers over the years, the most recent example being the US proposal of parameters in March 2014, which to this day awaits a Palestinian response. There is a natural tendency to single out one specific issue – Israeli settlement policy, Palestinian rejection of recognising Israel’s Jewish character, Palestinian incitement and terror, a return to negotiations, an imposed international plan etc. – and argue that if only that single issue was successfully dealt with, everything else would fall into place. the challenge is multi-dimensional with inter-connected components and needs to be addressed as such. The pieces of the puzzle include the security situation on the ground and future security arrangements in a permanent status solution; Israeli settlement activity and practices; bottom-up processes of laying the foundation and infrastructure on the ground for future Palestinian statehood, including economic development as well as access and movement on the ground; the situation in Gaza and the relationship between Gaza and the West Bank; creating a top-down political horizon – either through negotiations or through laying out parameters on the core issues; and the regional dimension. Israel should shape its own future and destiny, not just respond to other parties’ initiatives or external attempted dictates. Because the logic of separating the two communities is in Israel’s interest, the country should signal that direction and start moving towards shaping a two-state reality, preferably with Palestinian partners but also with regional and international actors. 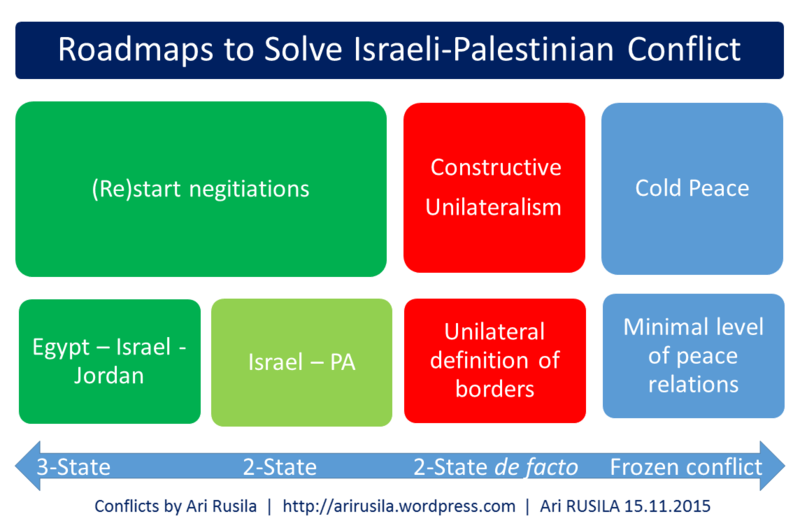 Even without a Palestinian partner at this stage, Israel should implement a policy of constructive unilateralism that improves its security situation, maintains the possibility of a two state solution and keeps an extended hand open to the Palestinians to renew negotiations at a later date. Security – Israel should complete the security barrier between the West Bank and Israel in order to reduce friction between the two sides. While taking security measures against terror attacks, Israel should continue to encourage authorised Palestinian labourers in Israel. Almost all perpetrators of terror attacks have been illegals, and legal Palestinian labour in Israel has proven a stabilising factor. Cessation of settlement activity beyond the security barrier – Israel should not authorise construction in areas where we assume a future Palestinian state will be established. Israel should try and elicit some form of quiet understanding for strengthening the settlement blocs – areas which are essential to Israel’s security and which are widely acknowledged as being part of Israel in a future agreement (based on territorial swaps). Additional Israeli measures towards political separation – There is a public debate in Israel on whether to implement measures separating the two communities in Jerusalem. Tthe current situation in which there is no overlap between the municipal boundaries of the city and the route of the security barrier has bred instability and chaos and should be altered. Herzog would seek to amend the municipal boundaries and adjust the barrier accordingly. Establishing a long-term ceasefire in Gaza – Based on the deterrence achieved in the last round of armed conflict in Gaza (2014) Israel should try to achieve a long-term ceasefire arrangement with Hamas in Gaza, involving the PA with an active role in Gaza. 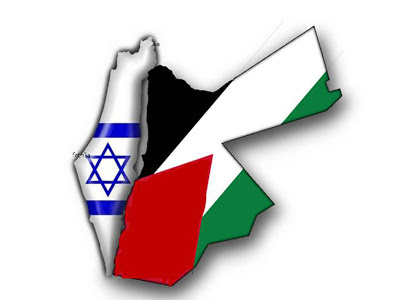 Greater investment in the regional dimension –conditions are now ripe for working together with major Arab countries in order to generate progress between Israelis and Palestinians. Egypt is ready to sponsor such a move. To facilitate such a regional process, Israel has to relate positively to the Arab Peace Initiative, which it has begun to do. Moreover, both Egypt and Jordan could definitely play a role in the security arrangements in Gaza and the West Bank respectively. While pushing the parties to negotiate currently serves little purpose, creating a political horizon is crucial and should not be neglected. Based on Herzog’s experience, the initial focus should be on defined parameters for negotiating and resolving the core issues that separate the parties. 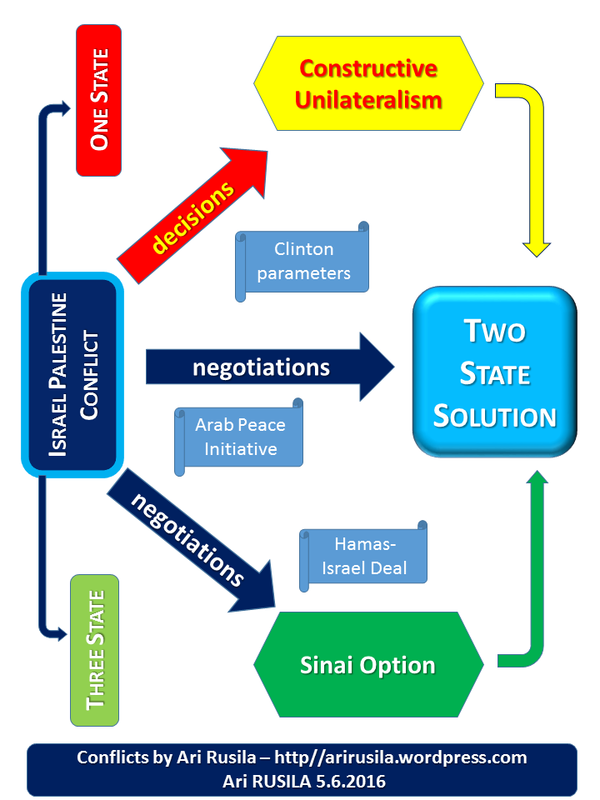 Israelis and Palestinians failed to achieve this bilaterally and are unlikely to succeed in the foreseeable future. Ultimately out of all the existing initiatives currently on the table, the regional approach has the most potential. The parties should be willing to invest in it and the US and Europe should support it. Michael Herzog’s view to solve Israeli-Palestinian conflict is vell based on his +20 years experience about negotiations between these to parties. Also from my perspective a new framework is needed, even if some apparent negotiations start the outcome probably will be a placebo to status quo. I also agree with establishing a long-term ceasefire in Gaza as well with regional approach: The best possibilities to develop negotiated peace process might be in a regional peace track proposed by Egyptian President Abdel Fattah el-Sisi, in which Egypt would facilitate direct peace talks between Israelis and Palestinians as well as between Israel and its Arab neighbors. Earlier I have referred two new leftist initiatives in my article Constructive Unilateralism: Leftist Approach to Israel-Palestine Conflict – ‘it’s in our hands’ by Omer Bar-Lev, an MK for the Zionist Union and ‘Constructive unilateralism’ by Blue White Future, leftist think tank – which both in my opinion are steps forward and also to the right direction as well including required new roadmap for better future. Michael Herzog has doubts about removing settlements from West Bank behind the security barrier while Isaac Herzog and leftist initiatives see it necessary and I agree with them. 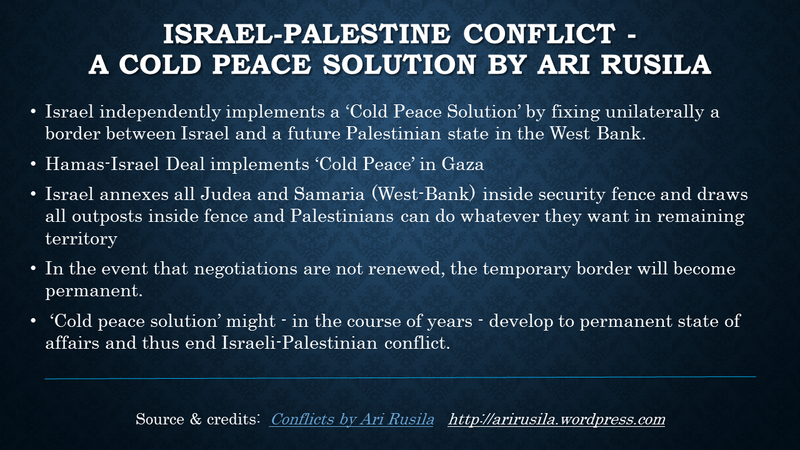 From Israeli side unilateral withdrawal and unilateral annexation are the main strategy options related to West Bank. I think that unilateral withdrawal is both feasible and doable; its main benefit might be that Israel can deside it individually. BICOM reports that the executive board of UNESCO (United Nations Educational, Scientific, and Cultural Organisation) officially on 18th Oct. 2016 approved a controversial motion which failed to recognise any Jewish connection to the Temple Mount in Jerusalem. The executive board ratified the resolution, which was approved last Thursday by member states in Paris. The vote was 24 in favor (including Iran and Sudan), 6 against (including USA, UK, Germany, Netherlands), 26 abstaining, and 2 absent. The original resolution, which six countries including the UK opposed, was submitted by the Palestinian delegation with the support of Egypt, Algeria, Morocco, Lebanon, Oman, Qatar and Sudan. It alleges “Israeli escalating aggressions and illegal measures… against the freedom of worship and Muslims’ access to their Holy Site Al-Aqsa Mosque/Al-Haram Al Sharif”. Although the motion acknowledges that Jerusalem is holy to the three monotheistic religions, the section dealing specifically with the Temple Mount says the site is sacred only to Muslims, failing to acknowledge its significance to Jews. It refers to the Western Wall, the world’s most significant Jewish prayer site, by the Arabic term Buraq Plaza, while quotation marks pointedly accompany the phrase “Western Wall”, the Jewish name for the site. UN Watch is a non-governmental organization based in Geneva whose mandate is to monitor the performance of the United Nations by the yardstick of its own Charter. UN Watch condemned UNESCO’s “historical revisionism” which erases Jewish and Christian ties to Jerusalem and casts doubt on the connection between Judaism and the ancient city’s Temple Mount and Western Wall. At the same time, UN Watch said the inflammatory text’s failure to obtain a majority was a moral victory. The amount of countries abstaining increased by seven from the 17 who supported a similar text in April, with France, India, Argentina, Spain, Sweden, Sri Lanka, Guinea and Togo shifting their votes from yes to abstain. The resolution was drafted by the Palestinians but officially submitted by Sudan’s genocidal regime together with human rights abusers Algeria, Egypt, Lebanon, Morocco, Oman, and Qatar. Unfortunately UNESCO is only the latest example about UN bias against Israel. Despite being the only democracy in the Middle East, Israel routinely faces more criticism and condemnation at the United Nations than any other country, including those that systematically kill their citizens or deny them the most basic of human rights. Even today, both the General Assembly and Security Council continue to pass one-sided resolutions that single out and condemn the Jewish State. Additionally, an overwhelmingly powerful bloc led by the Arab nations promotes a narrow and slanderous agenda meant to isolate Israel that has met little resistance. Israel was the only country in the world singled out as a violator of “health rights” during the UN World Health Organization’s (WHO) annual assembly in May 2015. Although Israeli hospitals provide health care for injured Syrians and Palestinians daily, the WHO decided to turn a blind eye to health crises in Yemen, Saudi Arabia, Syria, Iran, Iraq, Libya, or North Korea, and instead single out Israel as a major violator of health rights. The UNHRC (UN Human rights agency) closed their month-long session on March 24, 2016, by proclaiming Israel the most egregious violator of human rights in the world: issuing five council resolutions on Israel and only one each on the human rights situations in Syria, North Korea, and Iran. 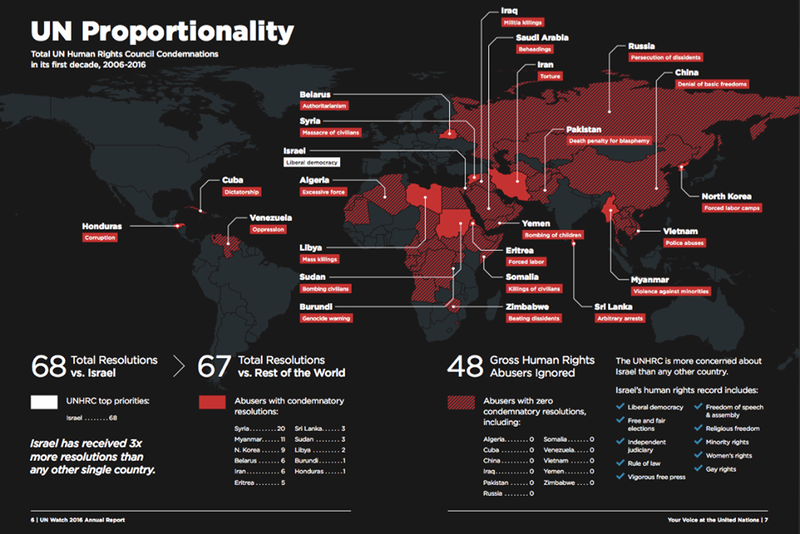 Frequent human rights violators such as Saudi Arabia and China were not mentioned in a single resolution. The most egregious example of anti-Israel bias at the UNHRC is the yearly discussion of agenda item 7. Agenda item 7 mandates that at each UNHRC session, Israel’s record of human rights must be debated. No other country in the world has a yearly reoccuring agenda item dedicated to it. The best example about UN bias might be UNRWA; some background about this in appendix below. Between 1930 to today, we probably have 60 million+ people around the world that have seen forced transfer from their homes as a result of conflict, many of these at the hands of terribly egregious aggressors. One agency, the UNHCR (UN Refugee Agency) has handled nearly all of these refugees. Its goal is to as quickly as possible resettle these refugees in new places, and move on to the next disaster unfolding. 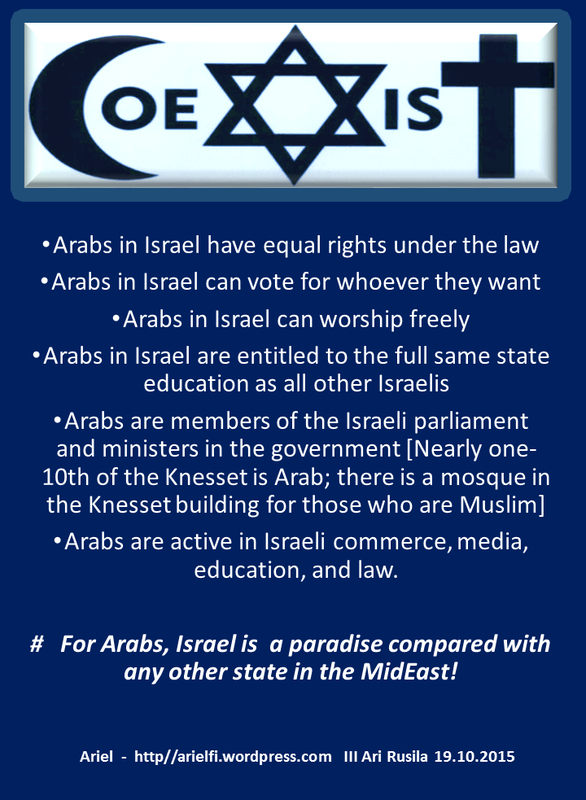 Related to the Israeli-Arab conflict. Between 1948 and 1967, some 800,000 Palestinian Arabs displaced and 800,000 Jews displaced out of Arab countries. From the start, the Palestinians were dealt with differently than all other refugees. While all others came under the administration of a series of global organizations that eventually became the UN High Commissioner for Refugees (UNHCR), the Palestinians received their own relief organization: the UN Relief and Works Agency for Palestinian Refugees (UNRWA). The entire set of criteria for qualifying as a Palestinian refugee was (and still is) significantly different than the criteria applicable to all others. While the UNHCR worked to provide durable solutions for refugees under its administration, Arab leaders intentionally kept the Palestinians in stateless limbo by refusing to accept any solution that did not involve than the complete destruction of the State of Israel. In 2014, the U.S. State Department gave UNRWA $400 million, the European Union gave $139 million, and the United Kingdom gave $95 million. The agency’s teachers, principals and other staff are spreading racial hatred, anti-Semitism and support for terrorism, as documented in three recent reports by UN Watch, the latest on Nov. 30, 2015, which have identified more than 30 individual perpetrators. While UNRWA claims to have temporarily suspended employees — whom it refuses to name — minimal accountability requires that those who poison the minds of children be permanently removed from their posts. 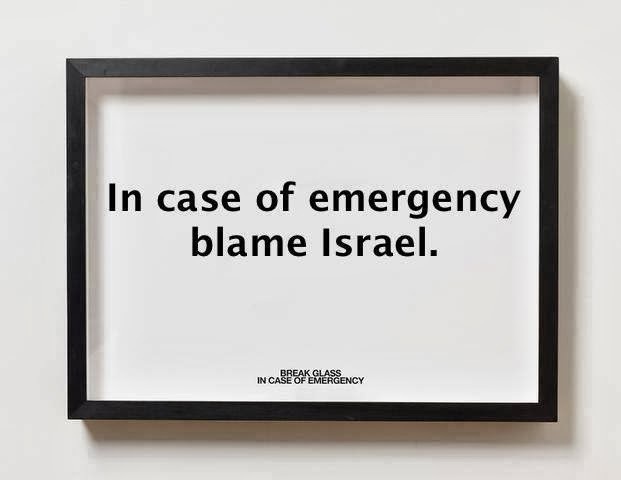 UNRWA has also failed to even condemn any of the perpetrators, and has been completely silent on the matter in its media statements and on its website. Although UNRWA was established in 1948 as a temporary institution, more than six decades on it still exists, larger than eve. Indeed UNRWA is now the UN’s largest entity with over 30,000 employees, it makes UNRWA “too big to fail,”. Through November 2003, 101 of the 681 UN resolutions on the Middle East conflict referred directly to Palestinian refugees. 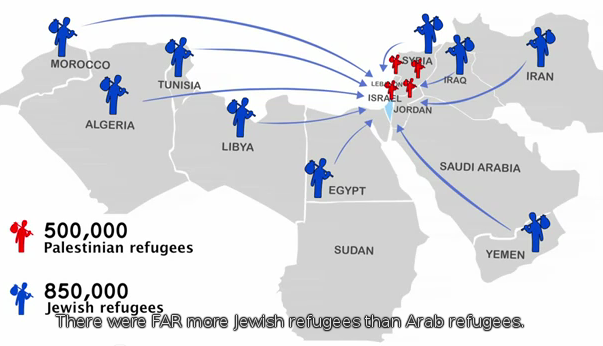 Not one mentioned the Jewish refugees from Arab countries. 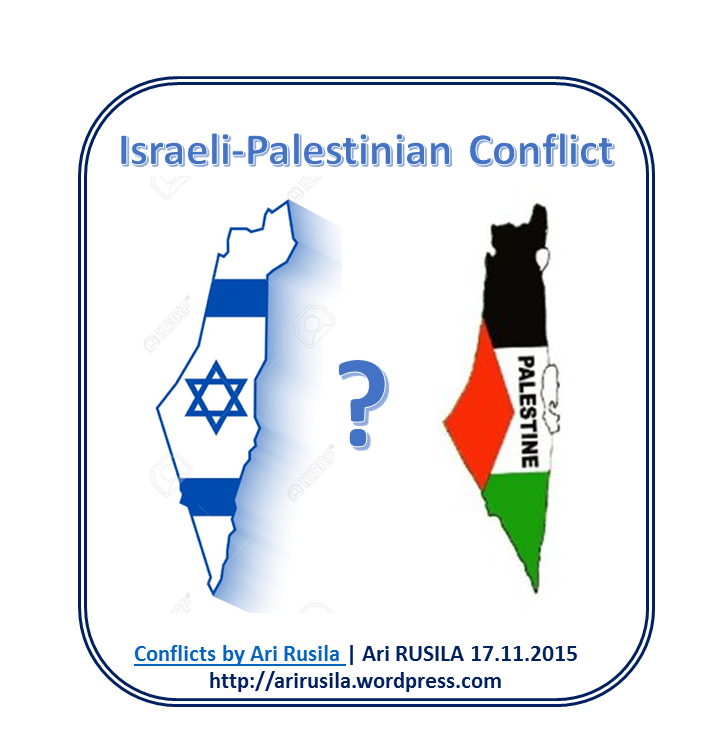 You are currently browsing the Conflicts by Ari Rusila blog archives for October, 2016.